(RxWiki News) One in four adults older than 65 falls every year. Follow these tips to prevent falls and serious injuries. Fall death rates in the US are on the rise. If fall rates continue to rise, we can expect seven fall-related deaths every hour by 2030. 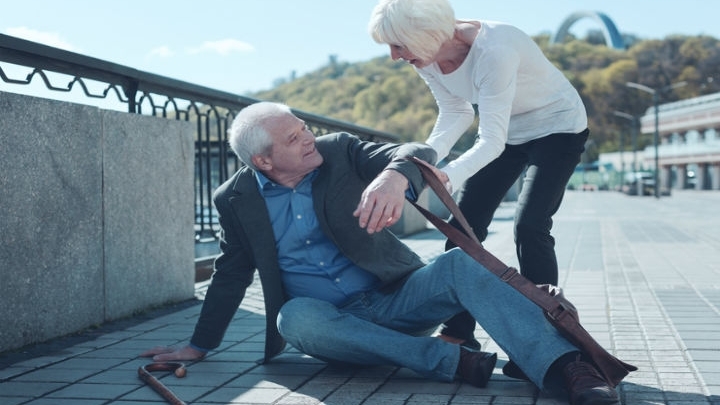 Each year, 3 million older people are treated in US emergency departments for injuries related to a fall. These injuries include wrist, arm, ankle and hip fractures, as well as head injuries. Sept. 22 is National Falls Prevention Awareness Day — the perfect time to take steps to prevent falls in your home. Fall-related injuries can change people's lives for the worse. The good news is that falls can be prevented with a few proactive steps. Although seniors are the most affected population, falls can happen to anyone. Bathrooms. A whopping 80 percent of falls for seniors occur in the bathroom. Use a non-slip rubber mat or self-stick strips on the floor of the tub and shower. Install support, such as grab bars by the tub and toilet. Stairs. Keep stairs clear of clutter, and fix uneven steps as soon as you discover them. Always make sure stairs are properly lit, and use handrails going up and down the stairs. Floors. Remove floor rugs if possible. If you have floor rugs, use double-sided tape or a non-slip backing so the rugs won’t slip. To prevent tripping over wires or cords, coil or tape cords and wires next to the wall. Bedrooms. Place a lamp near your bed and make sure you have a well-lit path from your bed to the bathroom. Lighting. Take steps to improve the lighting in your home, such as installing brighter light bulbs. Fluorescent bulbs may be a great option. See your doctor and optometrist. Have your eyes, feet and ankles, balance and vitamin D levels checked regularly. You can also talk to your doctor at these visits about your fall risk, including medications that may increase your risk of falling. See a list here. Wear shoes inside and outside the house. Opt for shoes with non-slip soles. Exercise. It is important to strengthen your legs and balance with exercise. Low-impact exercises are perfect for those who are older and have limited movement ranges. Tai chi is a popular activity for all ages to help strengthen balance and coordinate movement. Consider a medical alert system. This is particularly important if you are at risk and live alone. Ask for help. Don’t be afraid to ask for help when you need it. If something is in a hard-to-reach area, ask for help. Falls can mean more than a broken hip, arm or leg. Hip fractures often lead to early mortality due to circulatory diseases that follow the injury. Act today to prevent falls and injuries. Ask your health care provider how you can reduce your risk of falling.